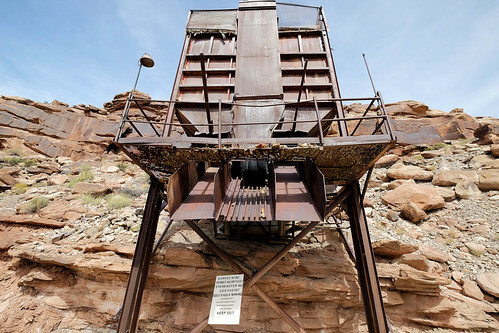 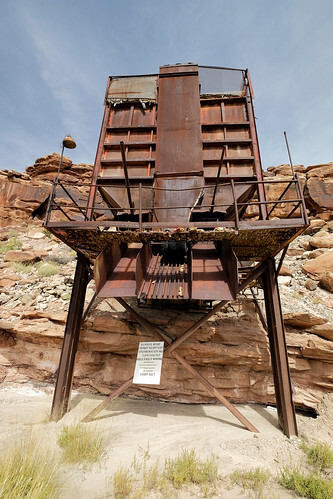 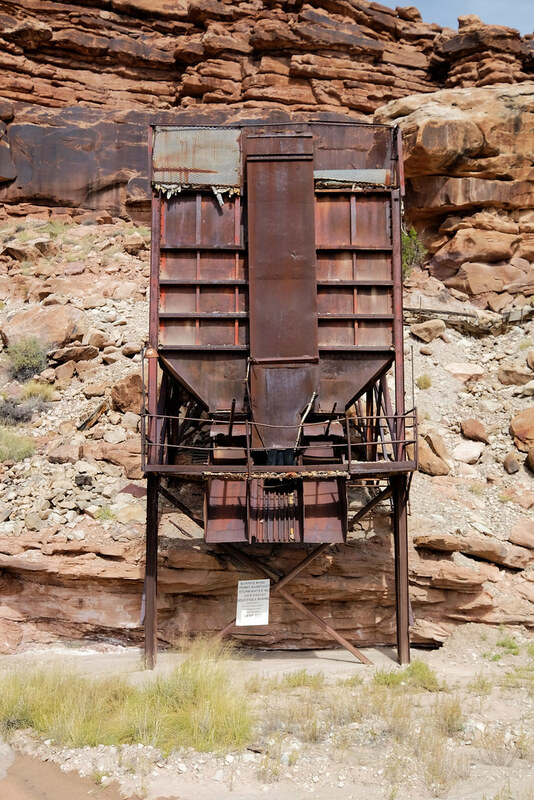 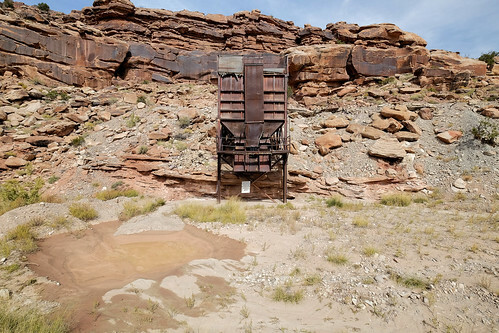 The Burros uranium mine rests just off the S8 Road alongside the banks of the Dolores River as it wanders through the red rock canyons of southwestern Colorado near Slick Rock. The Salt Wash sediments accumulated along the Gypsum Valley anticline and is known to produce minerals of carnotite, tyuamunite, uraninite or coffinite. 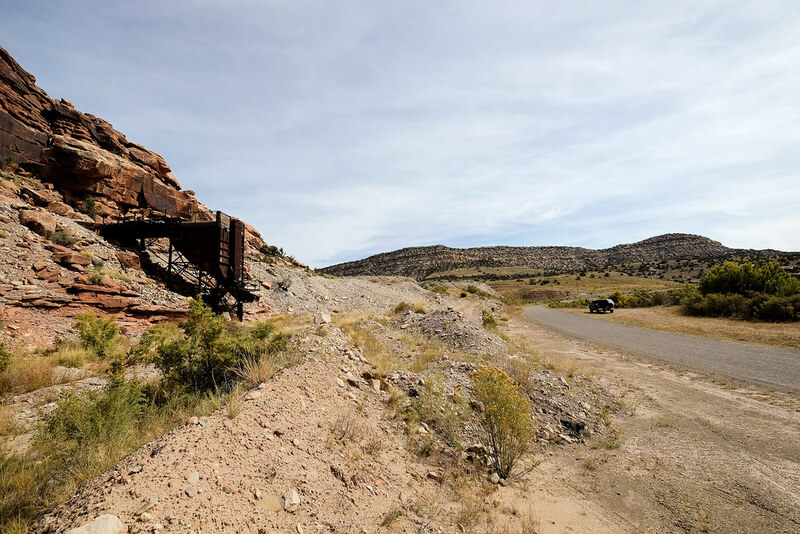 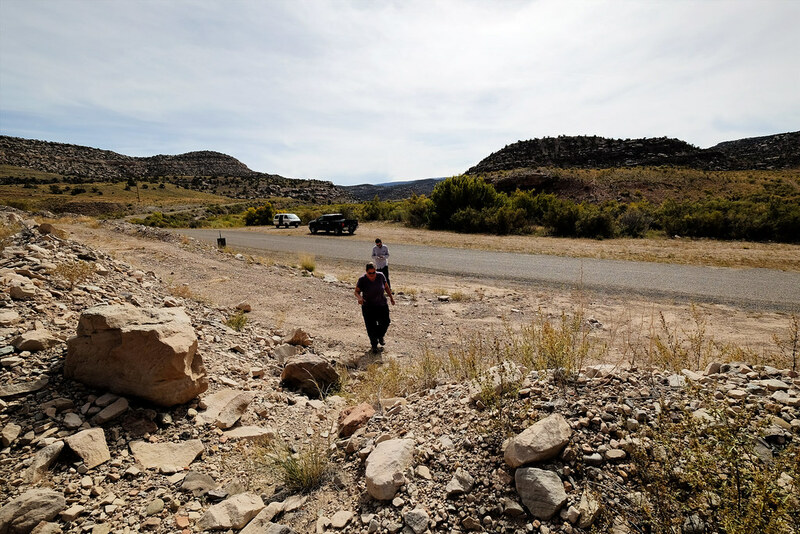 The mine is partly owned by Colorado State Representative Don Coram and Uranium Energy Corp but it is still littered with piles of waste rock which are stained with uranium minerals. Some of the waste rock piles have been arranged to slow contaminated surface runoff water before it reaches the Dolores. 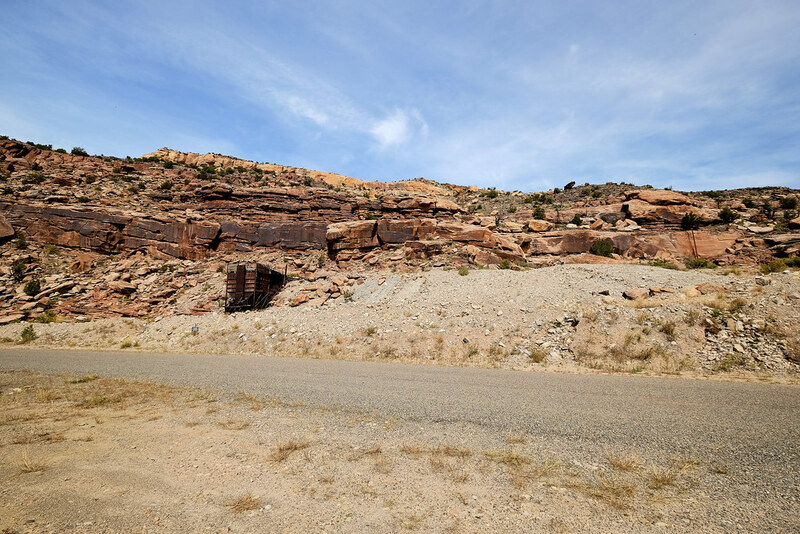 Uranium minerals were first discovered in the Slick Rock-area in the early 1900s. The AEC extensively explored the uranium and vanadium-bearing deposits in Burros Canyon between 1948 and 1956. Between 1957 and 1971 the Atomic Energy Commission reported that the Burro Mines had produced over two million pounds of uranium.